Lots of people love to use AA battery flashlights. But, Why AA flashlight has much popularity than others? 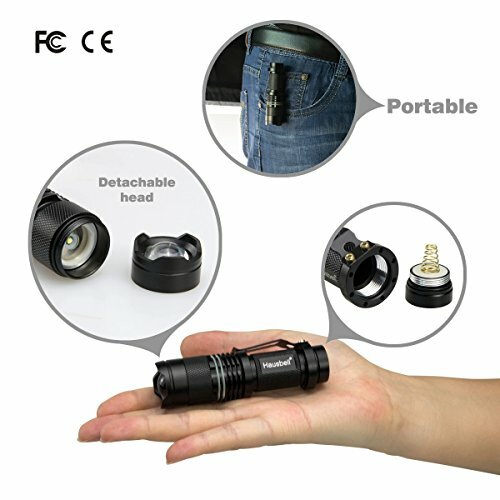 And how to find the best aa flashlight? AA battery has higher capacity than the AAA battery. Thus, AA flashlight will run long time and brightness is better than AAA. Although, if you need small everyday carry flashlight, then AAA flashlight will suite you. But, The AA batteries have a big advantage over the other types of battery is their availability. AA batteries can be found in almost every corner of the world. This is not the case with other types of flashlight batteries. Even, sometime you find difficulties to get 18650 flashlight batteries, but very easy to find the aa batteries. As a matter of fact, AA batteries account for more than 50% of all standard size batteries sold. 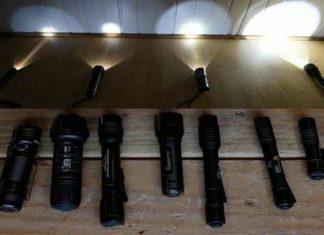 If you are looking for the best AA flashlight for the money, then this post for you. AA batteries are easily available and thus, very convenient for flashlight users. You can find them at gas stations, groceries, or mini-shops. This is not the case with most of the special batteries like CR123A batteries. In addition, there are some modern AA batteries that are rechargeable. So, the convenience and availability of AA batteries make AA flashlights the best choice for everyday carry lights. 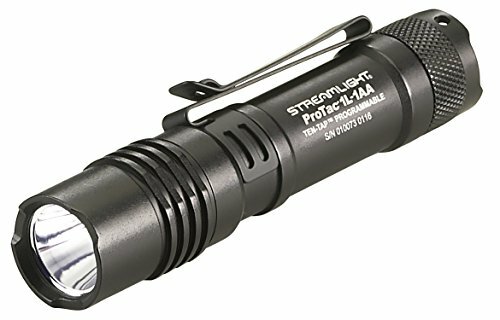 The Streamlight 88061 produces up to 350 Lumens using one CR123A battery or one AA lithium battery or one AA alkaline battery. It utilizes a 3 watt super high flux LED, resistant to shock with a lifespan of 20, 000 hours. 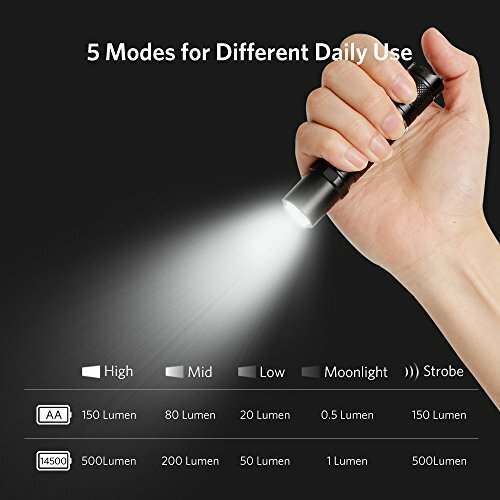 In addition, it has 3 light modes; these are the low mode with 6.75 continuous hours, a medium mode with 3.5 continuous hours, and a high mode with 1.75 continuous hours. Also, it has a two-way clip for attaching the flashlight in a downward or upward position. 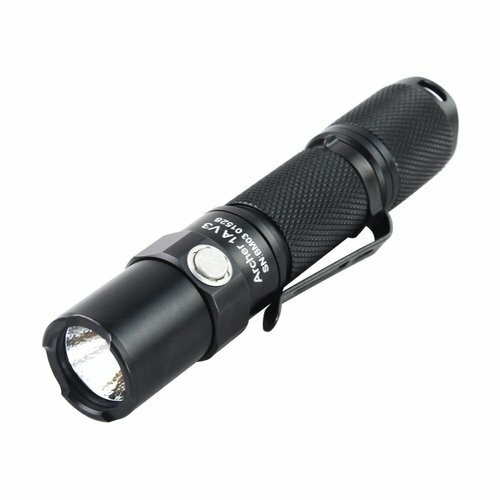 At 2.8 ounces (with battery included), this is a lightweight flashlight that you can use on a daily basis. In the dark, the flashlight beam can cover a distance of up to 160 meters. Operating this flashlight is very easy by use of one hand. It is also sturdily constructed for long-lastingness. With an IPX7 waterproof rating and 2-meter impact resistance; This is a great tactical flashlight for home use. 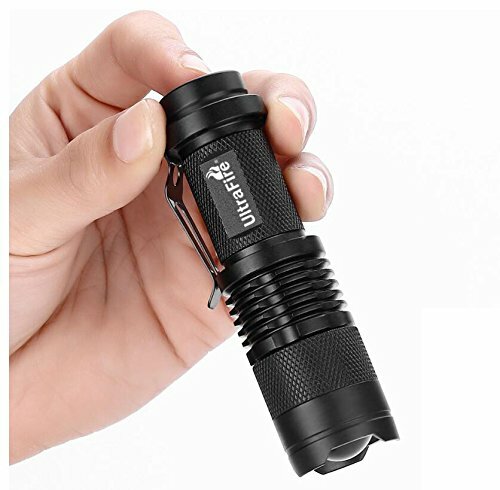 ThruNite is an excellent brand with lots of quality flashlights. The flashlight uses the latest LED technology in the CREE XP-L V6 LED. This bulb is able to produce a maximum of 200 Lumens. It runs on AA batteries which are easily available and convenient for flashlights users. Made of an aerospace-grade aluminum body, this flashlight is ideal for camping, hunting, law enforcement, self-defense, security, and for emergency responders. The hard-anodized finish makes it be scratch resistant and corrosion-free. 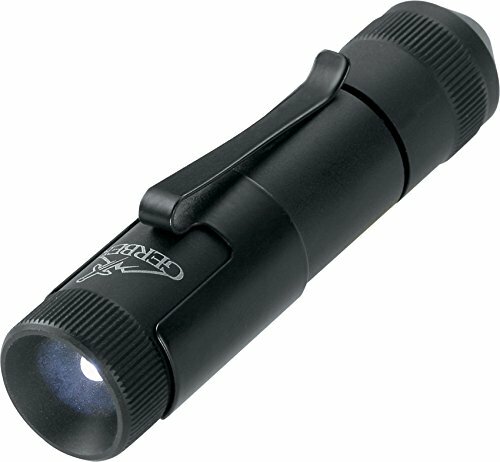 If you are looking for the best aa flashlight under 50 then buy this. The Archer 1A V3 flashlight has an easy to use interface with two buttons. These are the tail switch and side switch. The tail switch is for turning on/off the light, while the side switch is for cycling through the 5 different modes. It also features the overheat and a reverse polarity protection for better battery performance. When switched to the firefly mode, this flashlight can offer you with continuous light for 17 days. If you are a lover of quality flashlights, then you will like this Fenix E12 light. The E12 LED flashlight is powered by a single AA battery and produces a maximum of 130 Lumens. 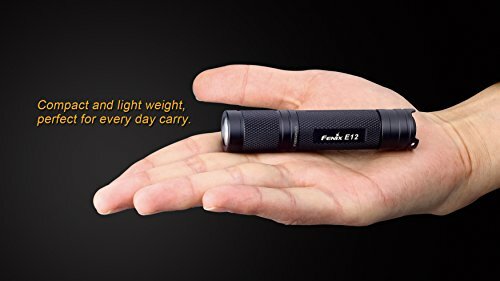 Due to its small and compact design, the Fenix E12 is an excellent EDC light. Thus, it is called the best aa flashlight for edc use. It is also sturdily built for tough conditions as its body is made up of precision-machined, high strength aluminum. To add on, it is impact and water resistant. So, you can rely on it in all situations. The E12 is not only sleek in appearance but also it has a nice grip that allows the user to hold it firmly during use. Moreover, it has a slightly recessed switch which avoids accidental activation. The tail stand capability makes it suitable for camping or for indoor use. For a longer run-time, switch the flashlight to a low mode for 40 hours on 8 lumens or to a medium mode for 6 hours 30 minutes on 50 Lumens. The highest mode utilizes 130 Lumens. 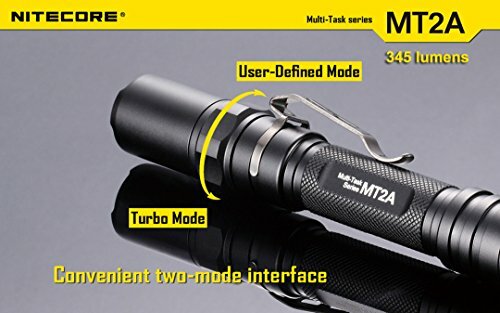 Despite being slim and compact, the Nitecore MT2A flashlight is a powered light with a maximum of 345 Lumens. The light beam reaches up to 240 yards, which is amazing for such a small light. It also runs on two AA batteries which are cheap and easy to find. The indestructible CREE XP-G2 R5 LED bulb provides the user with thousands of hours of use. The switch is somehow recessed to prevent accidental lighting on when kept in the pocket. It also has a tail stand. Some of the excellent features of this flashlight include waterproof with an IPX8 rating, 1.5-meter impact resistance, turbo mode, knurled design, four brightness levels, and tail cap switch. In low mode, the flashlight can function for 50 hours continuously. Quickly switch between modes by fully tightening or slightly loosening the head for turbo or other modes, respectively. Apart from the four normal modes, it also has a strobe and SOS special modes. Attach the light to your hand using a lanyard or stick it to your belt using a holster or pocket clip. Powered by one AA battery, the Garber infinity LED flashlight is a wonderful everyday carry light. It is also made of a sleek design and sturdy construction. The flashlight uses the indestructible LED bulb to provide users with several hours of use. Garber takes pride in its products and this flashlight is made with the best materials that make it survive in tough conditions. It is waterproof up to 10 feet for some minutes. It’s simple and compact design makes storing it after use to be seamless. It is one of the cheapest, but best aa flashlight. The Garber Infinity flashlight is also lightweight and comes with a pocket clip for attaching it to the pocket when not in use. With such features, this is an exceptional flashlight for camping or general home use. If you are looking for a defensive light, look elsewhere. Furthermore, Garner provides a lifetime warranty on all of its products. This is the perfect EDC flashlight. 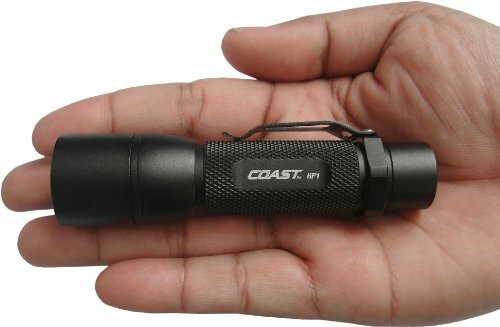 The Coast HP1 uses LED bulb to produce an excellent light. With just a simple pull or push of the head, you will be able to access flood or spot beam. In addition, the flashlight is powered by standard alkaline AA batteries. Alternatively, you can use rechargeable 14500 lithium batteries or rechargeable NiMH batteries, too. Built for tactical use, the HP1 LED light with a maximum of 190 Lumens is made of a lightweight aluminum casing. This casing makes it be able to resist corrosion, rust, and impact. Moreover, this flashlight can be utilized in wet conditions as it is water resistant. The brightest mode covers a distance of up to 171 meters and it has a maximum run time of 1 hour 15 minute on a Li-ion battery. Such features make the coast HP1 be suitable for outdoor, hunting, camping, and for home use. Maglite creates some of the most stylish and sturdy flashlights on the market. The Maglite Mini incandescent 2-cell AA flashlight is one of the best EDC flashlights. It is made of high-quality craftsmanship with a weather-resistant seal. 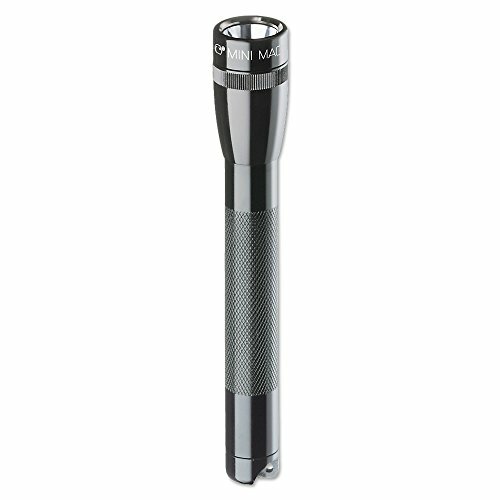 In addition, the flashlight has a knurled design for easy handling and it is anodized to resist corrosion. The powerful beam produced by this light reaches up to 325 ft. Also, the light is compact and lightweight for everyday use and has a 5 hour run time. It is not a high lumens light but if want high lumens flashlight from Maglite brand then, XL50 could be a good alternative. If you are going outdoors and want a reliable light, this mini incandescent AA flashlight will be of great help to you. This is because it is resistant to water and impact. Another thing is that the flashlight is not a burden to carry as it is compact and lightweight. Hence, you can carry it in your pocket or purse and use it when the need arises. It has a standing capability which makes it be ideal for camping or for indoor use. With such great features and its compact nature, this is a wonderful AA light to have. This might be a very small light, but it is very powerful. The UltraFire 7w uses Cree LED bulb to produce a maximum of 300 Lumens. It has an adjustable focus that allows the user to zoom in or out the light. The grip of the flashlight is knurled so that the user can easily handle the light even in wet conditions. Also, it has a skid-proof and waterproof design for tactical use. The pocket clip enables the user to attach the flashlight to the pocket or belt. Since it has tail stand capability, this is a great light for indoors as well. The 7W LED light is powered by one AA alkaline battery, but it can also be powered by either lithium 14500 or NiMH batteries. The Mini Cree LED is very easy to use with a one hand operation and it’s also compact. Simply switch on the tail cap switch and adjust the brightness by pulling the head for flood light or spotlight. With its blinding effect, you can use the flashlight in a very dark area or as a self-defense weapon. The Uniquely designed Hausbell is a wonderful light that can be detected even in the dark. This is because of its luminous ring that produces an easy to see glow. In addition, the light has an adjustable focus that enables the user to zoom in or out for different lighting needs. The LED bulb illuminates a maximum of 300 lumens and has 3 light settings. Get to choose from either the dim, bright, or strobe modes. The Hausbell light runs on one AA battery or one 14500 light. Use this flashlight outdoors or indoors as it is both impact and water resistant. Go with it to cycle, walk the dog, camp, change a car tire, or even hike with it. If there is a blackout, you will have an ample time finding it due to its luminous ring. All-in-all, this is a nice light that you can easily keep in your pocket or backpack. At such a great price, the ThorFire is a flashlight that you can depend on in the hour of need. The small and compact LED flashlight runs on either one AA battery or one 14500 battery. Additionally, it uses CREE XPG2 –R5 LED to produce an outstanding 500 Lumen with a blinding effect. A great feature of this flashlight is its 5 light modes. These are high mode (500 Lumen), medium mode (200 Lumen), low mode (50 Lumen), Moonlight mode (1 Lumen), and hidden strobe mode. This light is the cheapest best aa flashlight. On top of that, the manufacturer provides an 18-month warranty on the product. So, you can rely on it to deliver. Apart from the exceptional features, it also comes with accessories like the USB charging cable. You can be sure your battery is protected as it has reverse polarity protection, over-charge protection, and short circuit protection. One of the major factors that determine the type of flashlight a person chooses is the type of battery. Thus, if you need an aa flashlight with quality features then select from above list. Compared to other types of flashlights, AA flashlights may not be the strongest, most portable, brightest, or even run long; but it is available all the places. Using an AA flashlight will ensure that you will never run out of batteries as they are easily available. The ten best AA flashlight that we’ve just discussed above are some of the best with outstanding features. But if you want a bigger flashlight, then look for CR123A batteries. 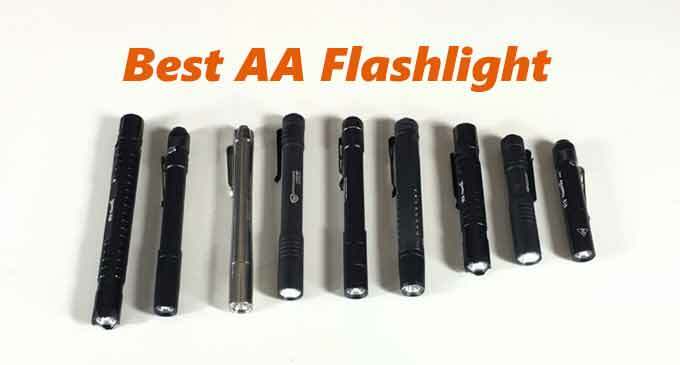 While for those who want small, everyday carry lights, AAA flashlights will suit them. No matter the flashlight you choose, ensure that it is sturdily built and bright enough for your needs. Also, consider buying from well-known brands which you will not have to regret later. Question: Is it okay if the flashlight becomes hot after using it for some time? Answer: If you use the flashlight in its brightest or highest mode, it is bound to become hot when used for an extended period of time. This is because, in the brightest mode, the flashlight has to generate more power than when it is in normal mode. Therefore, it is recommended that you don’t run the flashlight in the highest mode for extended periods, but run it less than 10 minutes and keep it in low or medium modes. Question: How long should my flashlight stay under water? Answer: This depends on the flashlight waterproof rating. Different ratings have different periods. IP8 is the most common in many flashlights. Flashlights with this rating can last up to 30 minutes as deep as 2 meters. Another common rating is IP65. Always make sure to check the rating on the flashlight before using it in rainfall or immersing the flashlight in water. Question: What are the advantages of AA batteries? Answer: A flashlight that uses AA batteries has lots of advantages. First of all, AA batteries are cheaper when compared to other types of batteries. Also, they can be easily accessed in remote areas where other types of batteries like CR123A batteries are hard to find.